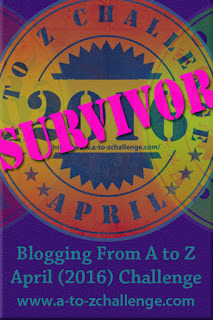 It’s the start of the A-Z blogging challenge. My theme – castles and today is the letter A.
I’ve loved them since I was small and the great fortifications still fascinate me. Alnwick Castle in Northumberland is not a ruin. It’s the family home of the Duke of Northumberland and lived in by the same family for 700 years. They obviously like the place. It hasn’t appeared on Rightmove, or been given over to the National Trust. In recent times the castle has been made more famous by providing the backdrop for Harry Potter’s Hogwarts and Downton Abbey. I visited it as a child and again a couple of decades ago, approx. Famed for its octagonal towers, private art collections and amongst the grandeur of the interior, the stone figures that stand on the fortifications looking down on the visitors. Original figures? Were they used as decoys by the defenders under siege or to give the illusion of a bigger garrison? Some are old, but many were added during the 18th century. Their purpose? Aesthetic. Nothing defensive or practical. It rather sums up the modern castle nicely. Gone the days when they were necessary fortifications built to guard the land from invaders, or the nobility from each other. Those that survived the civil wars intact have been turned into palatial homes for the wealthy or titled. The castle’s steward scratched his head. The old duke was showing those signs again. The worrying ones. “I gather that won’t be a problem. In fact, I’m hoping all of our problems will be swiftly solved. Including those useless figures on the roof. The headmaster assures me they’ll come in very handy.” The duke rose and leaned on his walking stick. The steward bolted out of the door leaving the duke to wobble his way across the room. This is going to be worth following. Great start to the challenge. I do hope so since I’ve still got the harder letters to write! Thank you for stopping by. I wouldn’t mind leaving in a castle as well, especially with such scenery around. :) Great start of the challenge. Real shame I didn’t know it was used in Harry Potter. I’ll be here for more of entertaining and educational posts. It was mainly used in the early films, I don’t think it featured in the later ones. Thanks for commenting. And I’m always in awe when a family has lived in the same place for such a long time. I find it so fascinating. Amazing family history to have lived there for so long. Loved this post; what an excellent start to the A-Z Challenge! I am also a Harry Potter fan, so I was fascinated to read that it was used in the films. I like your writerly ‘voice’ as well. The exterior of the castle featured in the earlier films. I hope you enjoy the rest of my theme. Jackpot in the very first post! Harry Potter and Downton Abbey castle rolled into one! Interesting! I am on for the ride. I loved the duke and steward conversation – so realistic. I wonder if the film producers had a similar conversation with the castle’s owners! Very interesting way to kick off the Challenge! Thank you. I hope the rest are as interesting. Loved this post, especially the old duke’s agreement to house Hogwarts. It’s a beautiful home! Looking forward to the rest of the challenge. Thank you. I hope you enjoy the rest of the month. I love the tale 🙂 and Alnwick is a really beautiful castle. I keep meaning to visit it at some point, but we always seem to miss. Great start! I love castles and I’m surrounded by them, so I’m sure to enjoy your journey. I don’t think you can go far in the UK without falling over a castle! I hope I give you plenty of ideas for your travels. That was cute. I do love castles, full of magic users or not. : ) You sure picked a great way to start the A to Z Challenge. Thank you. I hope to give plenty of insight into castles. Harry Potter’s castle was a big thrill for my girls when we traveled in the UK. We even took broomstick flying lessons here. Great start for AtoZ. I’ve not had the opportunity to take my kids there, but hopefully one day. I enjoyed this very much. I have always been attracted the magic of castles. You presentation of historical fiction has me hooked. I am virtually renting a castle for the month of April! Good luck! If you find a cheap one to rent, please let me know! 700 years! That’s awesome in the truest sense of the word. It must be a mixed blessing for the family members though. Hard having strangers walking into private spaces. Great choice and start to the A-Z here. I think anyone who opens there house or castle up to the public is a brave soul! Wow! Castles! This is going to be a great series! I will be back for more!